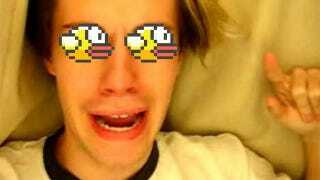 Flappy Bird has come out of nowhere to be one of the biggest mobile gaming hits of our age. That kind of instant success is normally cause for celebration, but when you consider all the attention he's suddenly getting, spare a thought for the game's developer, Dong Nguyen. He's taken to Twitter today to say "Please give me peace". He's also avoiding press contact, and stopped doing interviews.